When I was a kid, I always counted down the days to Christmas with a chain of construction paper rings - one for each day until Christmas. I loved seeing the chain getting shorter and shorter as Christmas got closer. It is a great visual way to represent time for a young child. I decided to re-create that chain for my kids in a more permanent form and I have created a tutorial so you can too! 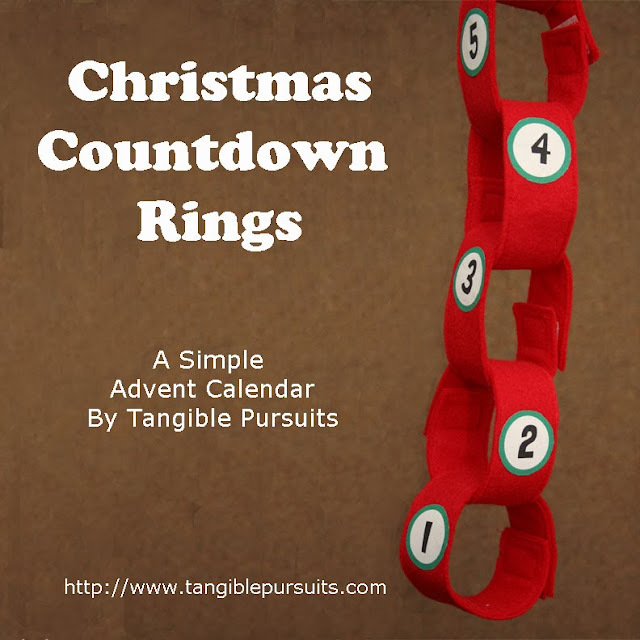 I have created a free printable with the numbers I used to make my countdown rings. You can download it here. Or make your own if you prefer. Print out the numbers onto the fabric sheet and then cut them out. Next, cut your velcro into 25 1" pieces. Take the red felt and cut it into 50 strips 1 1/2" wide by 10" long. Place two of your felt strips together and sew around all four sides 1/8" from the edge. Sew the other 24 pairs of strips together the same way. If you find that your cutting wasn't as accurate as you would have liked and one strip is longer than the other, just trim it even. 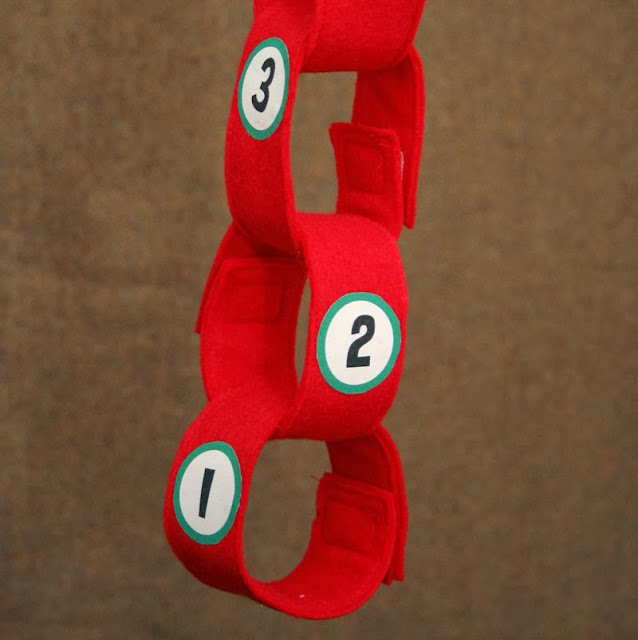 Finally fuse the numbers onto each felt strip according to the manufacturer instructions for your fabric sheets. You will want the number vertical on the strips so that you can read it when the strips are hanging. Now just link your strips together in a chain and you are ready to countdown to Christmas! You can either have the number represent the date, in which case you would take the "1" ring off first, or the number of days until Christmas, in which case you would start with "25." This is so brilliant and so cute! I would love to make one of these and use it every year with my kids! Thanks for this tutorial. My son has special needs and this is perfect for us. If we do the same thing every year he will get to understand it. 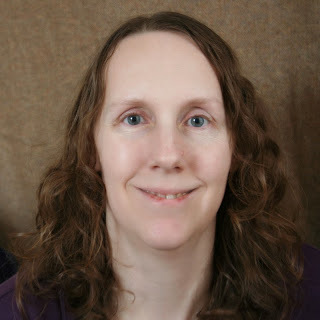 I'm so glad this will work well for your family, Karen!